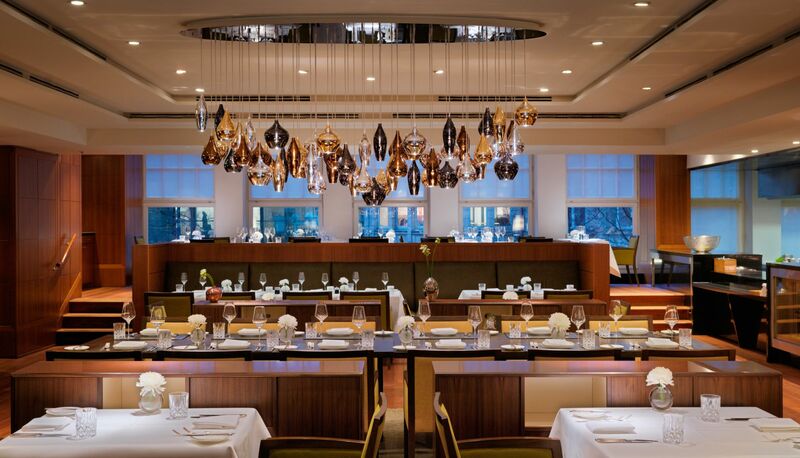 At Park Hyatt Hamburg, farm-to-table fare is a key concept at signature restaurant Apples. 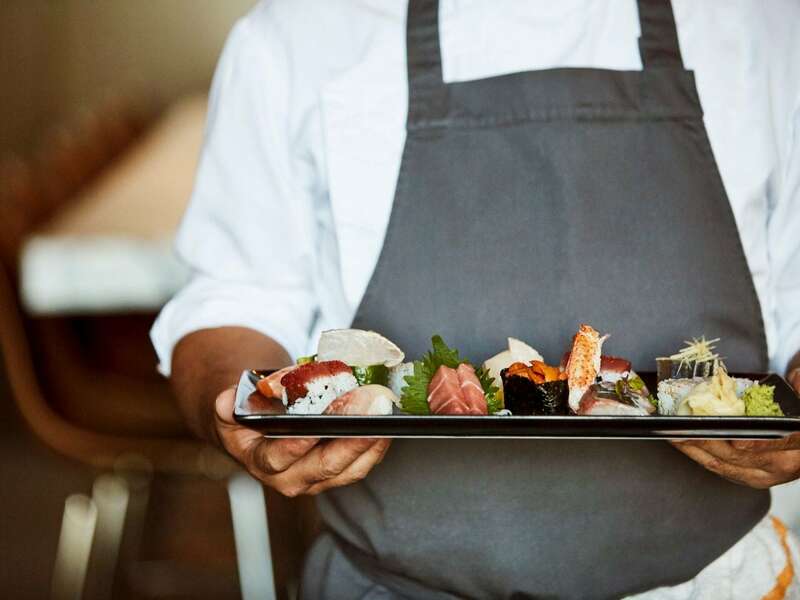 An open show kitchen allows guests to follow the preparation of innovative regional cuisine and the exclusive chef's table offers private dining for small groups. Park Lounge is your destination for traditional afternoon tea, serving light meals in a cozy, welcoming environment featuring Hanseatic interior elements and a fireplace. During the summer months, Apples terrace offers an oasis right in the city centre. Apples Bar is the ideal place to start your evening with exquisite cocktails and a central location perfect for exploring Hamburg’s nightlife. Enjoy the elegant ambience of Apples Restaurant, and allow yourself to be spoiled by innovative regional cuisine from our Apples team. All dishes are prepared in our live kitchen directly in front of you, on our wood-burning oven or the chargrill. The ingredients for most dishes at our Hamburg city centre restaurant are delivered by local suppliers from the Hamburg region. The centre of the restaurant is a four-metre long chef’s table. Up to 12 guests can be seated at this graceful table as they enjoy the personal care of the head chef. For lunch weekly changing, seasonal two- or three-course menus are available for €29 or €36, respectively including water and coffee. Dinner guests can enjoy à la carte dishes in our monthly-changing five-course wine set-menu, including wine and water. The price of the wine set-menu is €89. Monday-Friday 6:30 - 10:30 a.m.
Monday - Friday noon- 2:30 p.m.
Monday - Sunday 6:00 - 10:00 p.m.
Modern, contemporary design in a noble atmosphere: this is how Apples Bar is characterised. The comfortable seating areas and great assortment of premium wines and spirits offer the perfect location in which to conclude the day. Almost 40 different varieties of vodka from 15 various countries - including Russia, France, Switzerland, USA, England and even Hamburg - are offered. Guests can choose between 12 Apples cocktails, created to represent the bar itself. Located directly next to Apples Bar is the Smokers Lounge with a fireplace, inviting seating areas, comfortable armchairs and a flatscreen TV. Monday - Saturday 5:00 p.m.- 1:00 a.m. It Is Tea Time and a Treat for Your Senses! 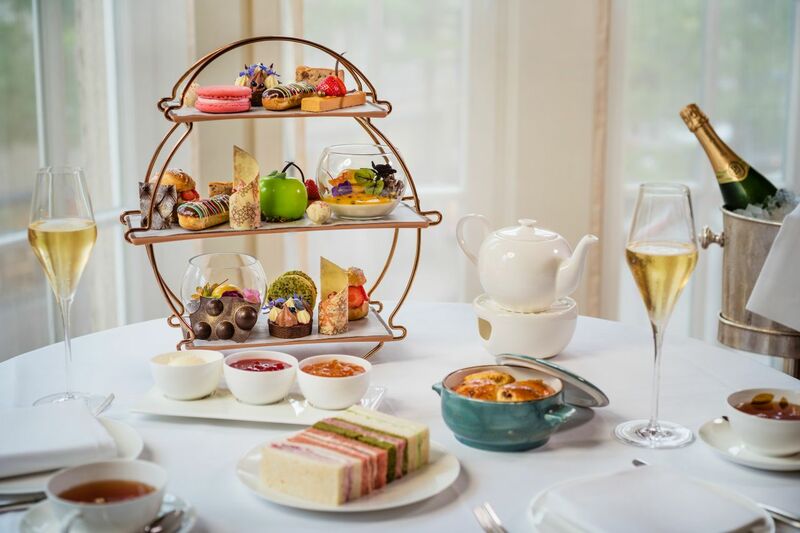 Let yourself be seduced and immerse yourself in the world of English afternoon tea to experience special moments of pleasure for the eyes and palate. 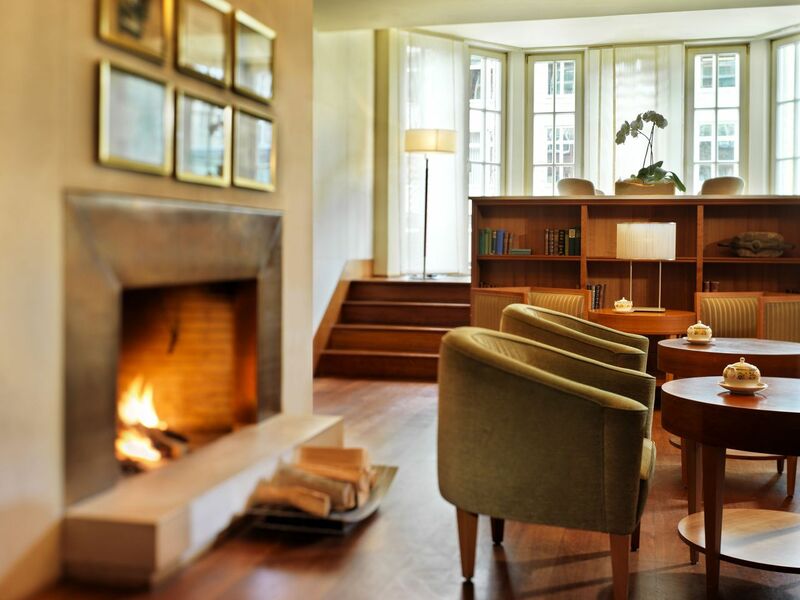 Take a seat in one of our galleries overlooking the busy Mönckebergstrasse or in front of the blazing fireplace. Find inspiration in the English flair of the lounge and allow our experienced pâtissiers and chocolatiers to indulge you with the highest standard of confectionery. Enjoy artistic-looking pastry creations made using the finest Valrhona chocolate prepared with attention to detail. Refined tartes, the finest eclairs and delicate profiteroles with vanilla cream and oversized macarons with fruity fillings leave nothing to be desired. A particular highlight is a champagne cream prepared in the form of a Granny Smith apple. Traditional scones are served oven-warm with clotted cream and homemade jams. Fine sandwiches topped with roast beef, turkey breast, salmon, cream cheese and cucumber and refined with truffle mayonnaise complete the afternoon tea ceremony. Choose your favorite tea from our exclusive tea menu with over 20 tea creations. Daily from 2:00pm to 5:00 p.m. The Park Lounge is located on the second floor of Park Hyatt Hamburg, offering great views of Mönckebergstrasse from its large windows. The café in Hamburg’s city centre offers a cosy and elegant atmosphere with its bookshelves, cherry wood furnishings, maritime antiques and open fireplace. Throughout the day, popular classics such as club sandwiches, Caesar salad and escalope are served. Cakes and other baked goods from our own patisserie or the traditional English afternoon tea can be enjoyed in front of the fireplace or on one of the galleries, with views of the lively shopping street. Due to its central location, the Park Lounge is ideal for a break during a shopping trip. Praline, macarons and chocolate bars are offered for purchase to take home. Monday - Saturday 9:00 a.m. to 11:00 p.m.
Start your morning with an extensive breakfast with delicious egg dishes, freshly baked bread and fresh roasted coffee or enjoy dinner in the private atmosphere of your room. Our room service is a convenient quick start for early risers, a romantic dinner for two or a hospitable gathering. From snacks to full four-course meals, we offer the dishes of your choice served in your room. Do you enjoy wining and dining with friends and business partners at Apples Restaurant & Bar? 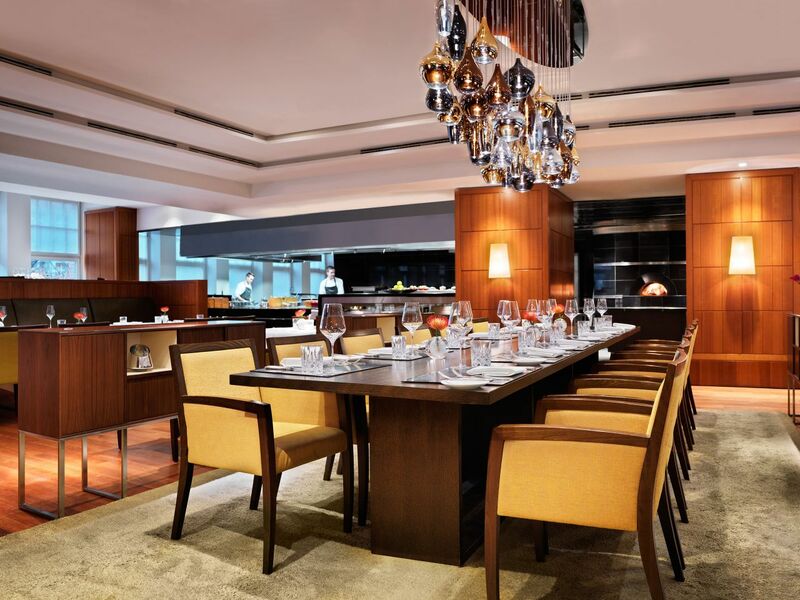 Then come more frequently and enjoy the advantages of a Hyatt Gourmet Club membership. 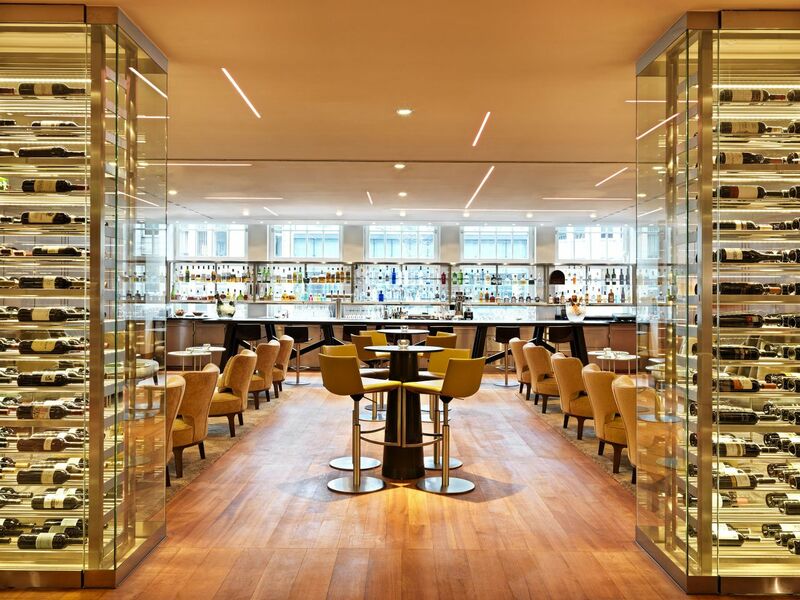 Furthermore, the restaurants at Hyatt hotels in Berlin, Cologne, Dusseldorf, and Mainz are also part of the Hyatt Gourmet Club. The Gourmet Club card and the vouchers are fully transferable, enabling members to share their benefits with friends, colleagues and family. The membership of Hyatt Gourmet Club is €269 per person and year. 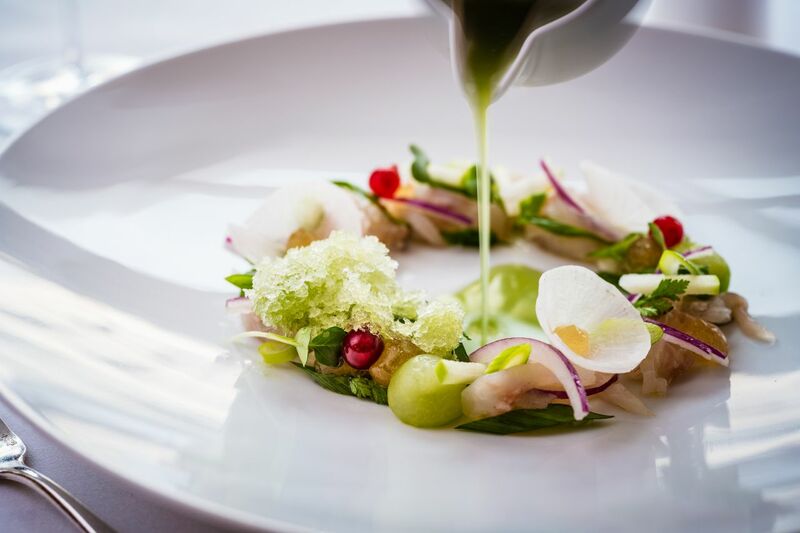 For further information about our Gourmet Club please contact our expert Ms Anna Maria Tiessen.